On May 15, 2015, The Wine Industry Symposium Group held their 20th Annual Vineyard Economics Seminar in Napa. The all-day conference included various talks, ranging from drought concerns, pest management, labor issues, and the use of technology in viticulture. One common thread through the talks was sustainability and its impact on the market. 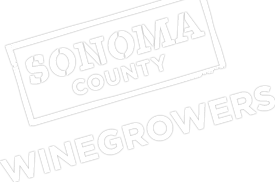 Last year, the Sonoma County Winegrape Commission published a goal of making its members 100 percent sustainable by 2019, and they’ve already gotten 60 percent to sign up and one third certified. (Napa has also set a similar goal). Its president, Karissa Kruse, said that many consumers say they’d choose a sustainable wine over others. In addition, Coppola and Jackson Family wineries are paying more for sustainable grapes.